ShowMax was launched recently in a blitz of publicity and advertising. Tech insiders were quickly gushing South Africa’s Netflix has arrived. But has it really? I don’t think so. Not if you’ve actually got the real Netflix. Or HBO NOW, Showtime, Hulu, Amazon Prime Instant Video or even almost the whole Roku catalogue. The resultant first-to-market product is poor and costs its owners a huge bomb to deliver (although it’s cheap for consumers at R99.00 a month). Think HBO will licence Game of Thrones to ShowMax for nothing if it’s got its own TV app distribution network in HBO NOW? Think again. Also, you can bet on it the next season of Game of Thrones will be on HBO NOW first. I suppose it’s an admirable strategy to throw the kitchen sink at being first to market. It takes money and guts and could delivery glory. But in the long term, true market considerations will need to come into play. I think the real revolution is in TV apps delivered by TV app devices such as Apple TV, Amazon’s Fire TV and Roku. Apple, in explaining the new Apple TV, seems to agree. During the recent Apple event announcing the new Apple TV, this snippet was revealing: “Apps are the future of television”. A real sea change in television entertainment has been brewing since the popularisation of the internet. It never materialised due to speed issues. But now it has taken only 18 months for the entire television broadcast model to be disintermediated. For the consumer it’s simple. 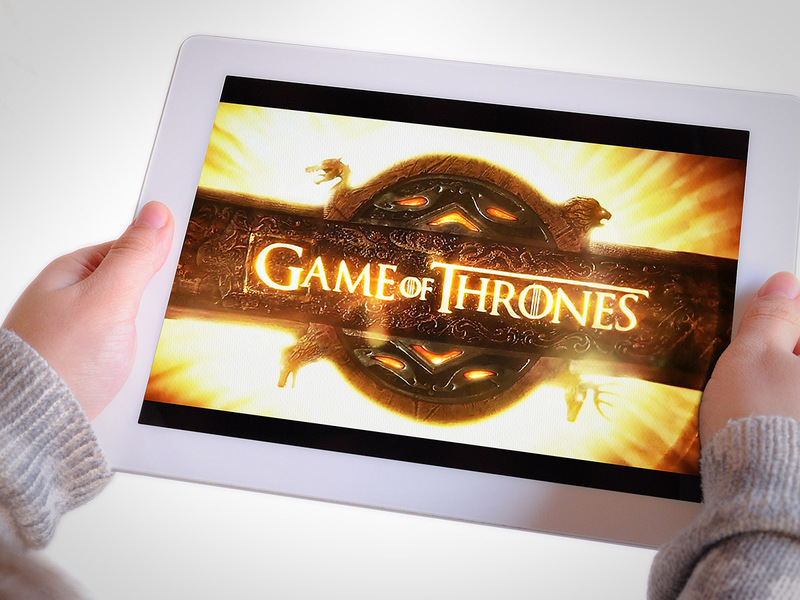 If you’ve got access to first-rate TV apps, you absolutely don’t need pay television anymore. End of story. Television has become an app, as Apple has finally realised. To experience it best, you use a small TV app player device (the best three are Apple TV, Fire TV and Roku), hooked to your big screen. You also need an internet connection of 10 MB or more. And boom! You can watch the very best shows and movies the world has to offer for a fraction of the cost of a pay television subscription. If you have the right hardware, this experience is truly amazing. The new generation TV app players all use voice for searching and display HD video with Dolby 5.1 sound. All over the internet. They got ShowMax off the ground and have a product. I’ll give them that. However, it’s basically TV on the internet or, as they call it, video on demand (which is so last year in a streaming TV app world). But the platform from which they stream, apparently it’s Amazon Web Services (AWS), is cranky at best and quality-poor at worst. Netflix also runs some services, such as their website off AWS, but it has its own content delivery network with servers around the world to make it significantly more reliable than others. In addition, Netflix has its own hardware. Simply put, they are streaming pros. Insiders say ShowMax are trying to fix their software and systems to work properly, but Netflix has been doing this for years and are experts at, for instance, many simultaneous connections. It seems ShowMax have a lot of work to do on the systems side. Playing a streaming service off a computer is not a great television experience. Ideally you have your own player, or, alternatively, an app that runs properly on other devices, primarily Apple TV. Perhaps they have a deal in the works with Apple or Amazon, which will be ideal, or a player, but I suspect ShowMax was launched too quickly for a proper player app to be ready soon. These are the two sea changes they’re currently missing in terms of delivery. But here’s the kicker. Netflix has a $4bn original content development budget. That’s right. Four billion big ones. Or R52 billion, in local currency. Netflix original shows such as Orange is the New Black, House of Cards and the brand new, brilliant Narcos is what draws memberships in the new reality of television. Streaming only other people’s content cannot work in the long term, because you won’t have access to it at all at worst, or pay through your neck at best. Original content is what it’s about. To do this properly costs real money. Movie money if you want to compete with HBO and Showtime. Or even with Netflix or Amazon (which spent $1.3bn on Prime Video during 2014). ShowMax has said they want to start producing original content, probably local fare. But whether they’ll have the appetite for true high quality television show development remains to be seen, because the competitor is no longer another local broadcaster. The competitor green lights shows such as Marco Polo (the most expensive television show ever produced), Between, Grace and Frankie, Sense8, Unbreakable Kimmy Schmidt and Bloodline, plus the heavy hitters Orange is the New Black, House of Cards, Daredevil and Narcos.